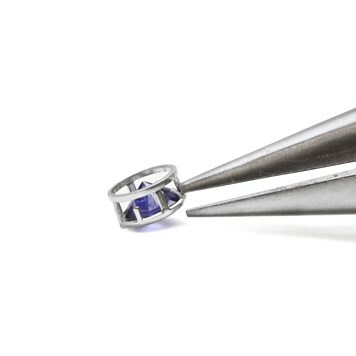 Backset settings are a quick and easy way to set faceted gemstones when jewellery making. They can be incorporated into necklaces, bracelets and earrings to make beautiful gemstone jewellery. Simply pop in your choice of gemstone then fold the claws over the back using a pair of tweezers. 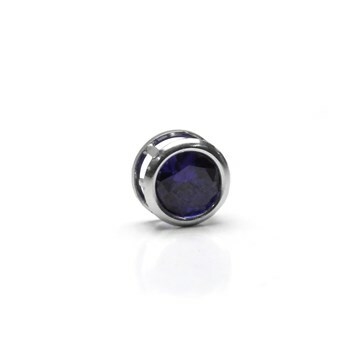 We supply these easy to use settings in both sterling silver and 9ct gold and in a range of sizes, as well as in ready to go earrings. They are supplied without stones so you can choose your favourite from our range of faceted gemstones to go with the design you have in mind. A pair of tweezers, pliers or similar. 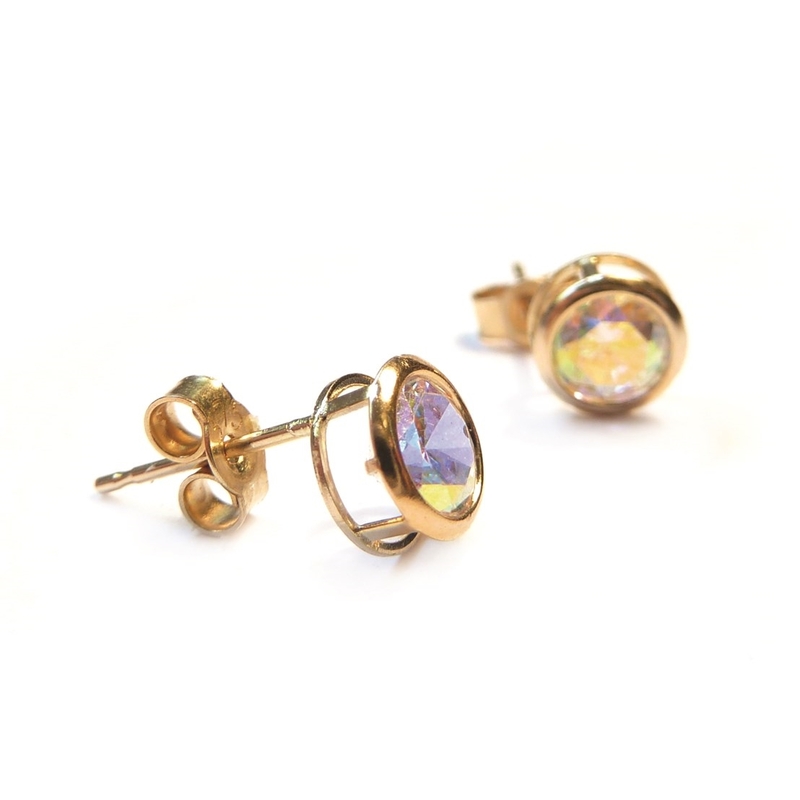 Select your backset setting and matching sized faceted gemstone. 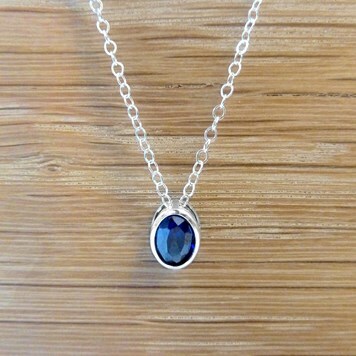 Here we have used an 8x6mm oval slide pendant set with an 8x6mm oval iolite faceted stone. 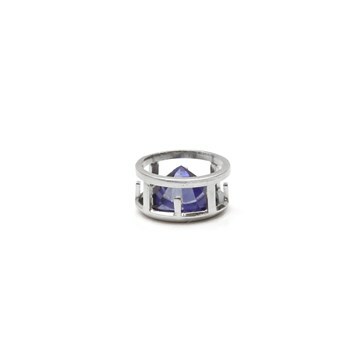 Place the faceted gemstone flat side down into the setting as shown. Push down each of the metal claws over the back of the stone so that the gemstone is held securely in place. You can use a pair of tweezers, pliers or similar. We recommend pushing opposite claws one after the other to ensure the stone is exactly central. Your backset setting is now complete! Backset settings create elegant and classic looking jewellery designs and open up a whole array of possible ideas. This beautiful necklace is so simple to make and is suitable for someone new to jewellery making. 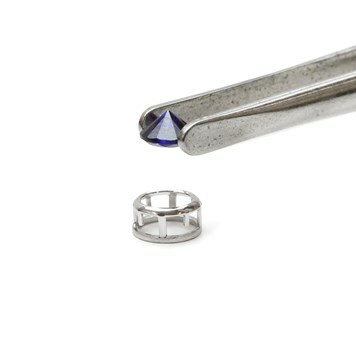 Sapphire is the birthstone for September, whilst we do stock real sapphire we have chosen this sapphire coloured cubic zirconia as an affordable alternative to using a real sapphire stone. Fro step by step instructions on how to make this look click here.